If you want to be successful, the quickest way is to model and study what other successful people do. Why would you reinvent the wheel? There are so many people out there already living the kind of life you want to be living — why not take a page from their book?! That’s why I love this lesson from the great Warren Buffett. And if you don’t know much about Warren, he’s 86 years old and the CEO of Berkshire Hathaway Inc. — a man with a net worth of around $75.6 billion. And no, that’s not a typo! Buffett isn’t just run of the mill rich – he’s one of the RICHEST PEOPLE in the WORLD! So clearly, there’s a lot everyone can learn from him and other successful people – even me. If You Had To Choose One Car That Would Last The Rest Of Your Life, What Car Would You Choose? When I was sixteen, I had just two things on my mind — girls and cars. I wasn’t very good with girls. So I thought about cars. I thought about girls, too, but I had more luck with cars. It’s what you do right now, today, that determines how your mind and body will operate ten, twenty, and thirty years from now. Are You Going Through Life Knowing You Only Have One Life To Live? Are you making goals and taking actions that will support your body and mind for the rest of your life? Are you putting systems in place so you can spend more time on the things that are really important to you in your life? Or are you simply letting your life pass you by, drifting and unconsciously making choices that serve no purpose? Look into your heart — be honest with yourself. Is your life out of whack? Are you negating the important parts of it? Your mind? Your health? Your relationships? Your leisure time? Is being successful the only thing on your mind? Because being successful doesn’t always mean making a crapload of money. Money without health is pointless. Money with no good relationships will make you lonely. Don’t forget what’s truly important to you and don’t forget you are only here on earth for a short amount of time. So make sure you are taking care of yourself fully. We are holistic beings. Every part of us works together harmoniously. And the sooner you realize this, the better and more successful you’ll be. True or true!? For a long time, I couldn’t ever get the most important parts of my life working together at the same time. My business was booming, but my health and relationships sucked. Then my health and relationships got better, but my business was severely suffering and I had no “me” time. Can you relate? So I did a lot of inner work and digging. And I asked myself a lot of really powerful questions to find out what truly mattered to me so I could start prioritizing what would make my “car” last a lifetime. Why don’t I already have it? What would it be like or feel like if I got exactly what I say I want? How can I get or accomplish what I say I want? I even went on to ask these same exact questions in all the categories of life such as my money, my business, my health, my relationships, and so on. Now, these may seem like ordinary questions, but I invite you to ask yourself these same questions and really take the time to reflect on them in the different categories of your life. Because when you discover what you truly matters to you — things that will support your body and mind for the rest of your life — suddenly the path to living your ultimate life becomes much more clear. And there is power behind clarity! Clarity leads to power. And power is the ability to do or act. Now my health is great, my relationships are great, my business is great and I get more time to myself than I could ever imagine. Good or good? Click here to register and select a date and time that works best for you. See you there! I lesson from is that, I have to make effort to feed my mind and body with what will enable me the best that life can offer. Simple statements can be so effective to learn from REMEMBER and benefit in life. El EQUILIBRIO en la vida es lo mas importante, Somos seres integrales y por lo tanto debemos trabajar todas las áreas de nuestra vida. Me siento muy honrada de participar y conocer de una manera practica el COMO LOGRARLO !!!. Gracias por compartir tan grande experiencia de vida, que es un tesoro. Bendiciones. Great blog! Thank you for sharing. Hi Wonderful stated address and most absorbing. Am I too late to get the letter from you? Hi Harv, thank you for sharing your knowledge and wisdom. I will say that I got from this lesson that if I change,my mind then I can change any and everything in my life. Perception is everything. I had to start over but this time with the right mind, the right knowledge, and the right vehicle. Most of all the right “Me”. I have 2 college degrees one in Business Administration & Management with a minor in Accounting and A degree in CIS (Computer Information Systems). Im ready to create the wealth that allows me to live my desired lifestyle but most of all so that I will be able to leave a legacy for my decendents and generations to come. I also have a passion to help people achieve and obtain success in their lives and to be the best version of themselves that they can be. Thank you again. Kea P.
Great post full of personal lessons for achieving extra ordinary things especially wealth. The lesson from Warren Buffet is great and I have taken a lesson from the three aspect of life: wealth, relationship and health. Thanks for he reminder. We re so busy that we forget o take care ourselves (mind and body). We need to be wealthy not only with worldly goods but also mind, body and soul. Brilliant! Just the reminder I need to reset! Thanks Brandon Z. for sharing this wise advice from our favorite T Harv. Yo adicionare un elemento más a parte del cuerpo y la mente.El tiempo de vida en este mundo. Y vaya que no todos estamos conscientes de esto, debido a diversos factores que van transformando tu vida y te van condicionando y programando para vivir como esclavo del sistema. Es verdad lo que menciona este hombre, pero desgraciadamente la cantidad de hombres ricos es directamente proporcional al numero de personas que logran ver más allá de lo establecido por el sistema. Wow thank you. Im just sitting in my car jolted wide awake that I am not doing anything I actually really want to do. I am just existing n hoping each day things be better. Which they are not. You have always been an inspiration to our whole family and we all, till date , pick up wisdom that you keep sharing. We have learnt the importance of taking care of our mind as the most important aspect of our lives. We have realized how we keep telling stories to ourselves to make us feel good about the average and not so average decisions that we normally take that keep us at our below par levels. We are working on what we say to ourselves and it is already showing results. We are on our way to the path shown by you. with all the wisdom you shared to become the persons we are today. Thank you , with all our heart , for all your guidance. Our entire family loves you. The rest of your life yea!!! Well finding it the opposite I met Warren Buffet years ago at a convention. It’s not a retirement fund as I thought it would be like. Now finally I want my Billion???? I’m halfway 70, but I had moments where I thought “sh*t, it’s too late”. But then another year passed by and I thought “sh*t, it’s too late, but I could have done it a year ago 😮 ” and this repeats and repeats. What if you could make one small change this year? What would it be? I think we are so focused on an overhaul that we shut down to making the changes. How can you make a change that is doable? Very important perspective but I think we have to appreciate that there is a method to the fulfilment of the dream status where your life is in balance. I like to believe that the starting point is to have some money in order to exercise choices that one needs to make. Without money one cannot even buy a self improvement program and you get stuck. You also cannot choose to have quality time with family if you do not have money (let alone the essential bills that need to be paid). To me therefore, financial freedom is an essential starting point and enables the qualitative life choices that follow. NO MONEY NO DEAL. Reading this post right before bed. Powerful indeed. Thank you for the eye opening questions. Gonna dive right in before bed right now! Even though i know for a fact that we are eternal, we are deathless, therefore we have as many lives as we choose, which makes our existence very peaceful…but i understand the importance of living as if it is the only lifetime. So in that sense it is very useful. Hello there! Very nice to read and very powerful! I have never heard of this man before but I like him already. 🙂 Have a good day! Excelente consejo para ponerlo en practica y en verdad darnos cuenta lo que en verdad importante y que podemos hacer para lograr todo lo que queremos y cuidar el carro para toda la vida, ¡nuestra mente! Muy buena enseñanza del gran Warren Buffett, si duda pasos a seguir, debemos comenzar a tener conciencia sobre nuestra vida diaria, un objetivo a alcanzar sin desesperarse en el camino y estar siempre alerta a nuestros pensamientos para no distraernos y así crecer y ser grandes personar de prosperidad. gracias realmente por la formación. Thanks Harv,for this information iam so moved. Taking action now is mandatory. yes, indeed 100% true. We should learn from those people who have already reached the goal I’m headed for. Warren is a wonderful man, not only because of being rich, but much more because he’s thankful for it, knows to return part to the Univers for funding. LIFE is -for me- the knowledge of the fact that we are all ONE. Just part of a huge puzzle: sometimes king, other times homeless, nobel-prize winner and student, wonderful and miserable at the same time… just everything. We are the real and true creator of our live and should look closer to Mother Earth, to Nature. There we can find most replies to all our questions. We only need to ask the right questions… even more important than the reply, because wrong questions produce wrong answers. And then, we must combine our energies, our strong visions for a new world organisation, to generate a powerful morphogenetic field which -sooner or later- will led to a better world. But it starts with every one of us, just with our individual behaviour without excuse, without waiting for others to join us. We are here to learn & improve & extend our knowledge, our abilities. With my gratitude to friends like Harv, Ein grosses Dankeschön und weiter so, Best wishes from Valencia (Spain) y hasta la próxima, Horst. A great lesson from Warren, something we all know, but the way it is expressed makes us realise the implications. 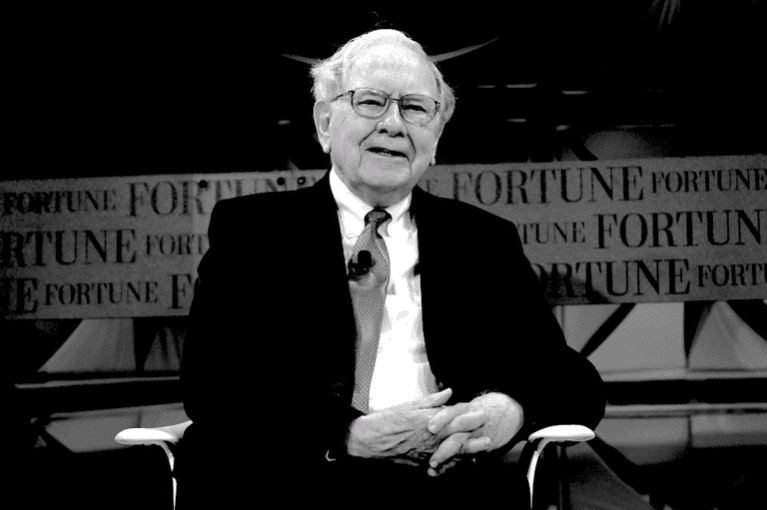 Warren Buffet is one of my inspirations and I totally agree when he says ” It’s what you do right now, today, that determines how your mind and body will operate ten, twenty, and thirty years from now.”. I remember when I got married we have this saying “One love one lifetime” and I am so grateful to have a happy marriage that my husband and I continue to treasure. Thank you Harv for sharing this to remind us of the importance of taking good care of our mind and body. There’s nothing much more important than these two. Thank you for your continuous inspiration Harv! Thanks to mr Harv Eker, His knowledge, wisdow and success education. is very much needed for us as a whole to learn from him in becoming successful in life. I am planning on sticking with him and following him as a my success coach! Thanks for sharing such an important lesson. I’ll be happy to apply it to my life and to teach it to my son and the people around me. Thank you so much for the sharing. It’s truly and meaningful lesson by warren buffet. Clarity with what we want in life. I will use it for my life. Chiayok! Chiayok!! To myself . Cám ơn bài viết rất hay, thực sự mà nói tôi rất muốn những điều ấy, rất muốn cuộc sống thay đổi ngay bây giờ, nhưng ai có thể giải thoát tôi khỏi cảnh nghèo đói này hay chỉ cho tôi một con đường có ánh sáng dẫn tới tự do tài chính, để tôi khỏi phải lo về cơm ăn áo mặc hàng ngày phải đi làm người nông dân nữa, mà hưởng thụ cuộc sống Thượng Đế đã ban cho, thật là một điều tuyệt vời. I’ve changed my ways with regards to exercise and healthy eating and yes it is helping me mentally too. This has inspired me to carry on further and it is never too late! Thank you for sharing this. It’s a mind opener for me. As I’ve come to expect from you T. Harv Eker another very powerful representation of what is required and what more, many many more people need to be doing. Realize their fragility and know they have the power to make their life exactly what they want. I fully relate to Warren’s Quote and have known it for a long time. I have been letting others and my internal program limit my existence. I have lacked clarity and sadly have been consciously aware of it. I have been on a Permanent Program Of Self Improvement for many years and am finally ready to create the life I want to live. I have clarity, I have a definiteness of purpose along with the correct mindset and will be taking the necessary steps to be living life fully on my terms. Helping others help themselves will fulfil many of the aspirations I have for my life ahead. 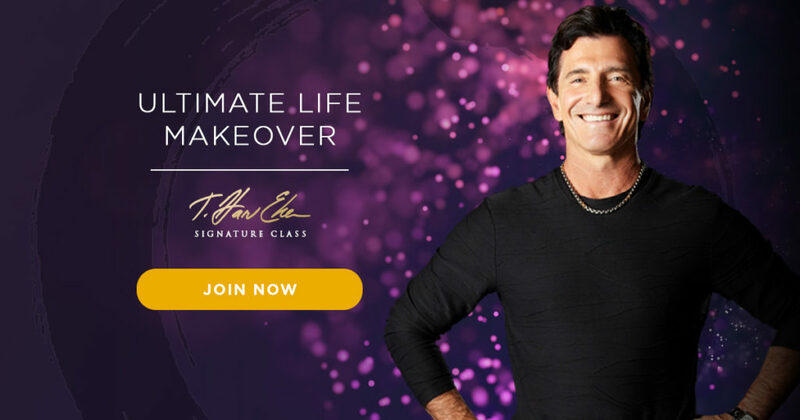 Thank you for sharing all that you do and the being the one and only T. Harv Eker. You inspire me and I know you have touched many many others. Thank you, it is greatly appreciated and respected. What a wonderful reminders, thoughts, ideas, and encouragements. I would do what i have learned from these lessons. Thanks a lot for this blog. Hi Harv. It was one of the most valuable lessons I’ve learned and I will share it with my daughter (11 years old). Thanks for sharing. I’m reading one of your books, Secrets of the Millionaire Mind, I love it. Now I work at Making up my mind. I am a great believer in “Health is your Wealth”. Without good health you will not be able to create your dream life. I 100% agree with Warren Buffett that doing the things that support your health and well bing today will bring great success and happiness in anything you strive to achieve, in the future. Thank you Coach. I like to say “thank you”. I hope you get to read this. I was in a big mess. My hubby wasn’t bringing in much income. He worked hard, but deals came in small and far apart. We went into debts, credit cards and friends loans. We digged deeper into our financial pit, till my husband had a mild stroke. I see the health episode as a blessing in disgust. It put a full stop to whatever we were doing. God is there to protect us from falling even deeper. During the struggling years, where bank accounts read zero, my spiritual connection with God took flight. I am ever so thankful for my spiritual growth. I am truly blessed with great teachers entering into my life at each phrase, guiding me and holding my hands. You are one such great teachers. You enter into my life when I realised that I needed help. I need help with money. I struggle with money. We are destined to meet. I came across your blog 6 jars, and I know that I have found my teacher. Thank you Coach. My homework for Module 5 is to spend 20 mins to read about successful people in my industry. You are the one, you are my homework. This is what led me to your blog and this comment. Thank you once again Coach. I would love to receive a reply from you. I am truly thankful even when it is just a hi. My email is a required field, hope to hear from you Coach. Sending you lots of love. Amazing, I am asking myself the same questions and taking action, looking into my heart and being honest to myself. I expect to start to get the results now, that I was expecting to get my whole life. I am 61 but I am still alive and have a long run in front of me. Thanks a lot. May God Bless you and your family always Mr. T. Harv Eker. Algo muy importante de nuestra vida es estar plenamente consiente de que no será eterna, pero que tenemos la gran oportunidad de ser felices. Great point. We know what we should be doing but the problem of other people comes into the picture – there are always obligations that we need to perform , to act , to do for family. It would be selfish to only think about ourselves as other people have a claim on how we live our live too. 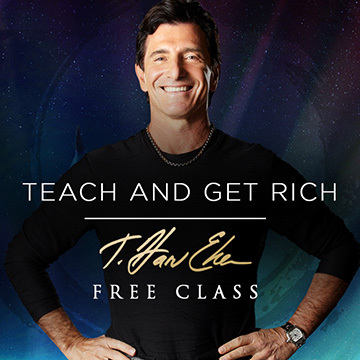 I have been attending and studying the teachings of harv eker. Lifted myself from frustration to positive anticipation with a certainty of tremendous success and financial freedom. Thanks for sharing this timeless wisdom T. Harv. What I have learnt is that we need to be very conscious and mindful of how we pursue our goals in relation to our body and mind. And an understanding that we only have one body, one mind and one life, hence we must tend to them with care. Thank you Harv for your insightful post and great lesson from Warent Baffet. I think I am discovering what exactly I failed to discover all these years throgh some of your free webinars. The three aspect of life is so important to me: wealth, relationship and health. I am not yet there with regards to making huge income, but I hope to there soon when I employ your teaching on creating a system that would duplicate for you. The key here is not knowing what to do. The key is to create habits, things that you do every day that will cause you, over time to become the person you aspire to. Feeding you mind, your spirit and your body with those things will ensure your future, your sustainability, your flexibility, your health and then expressing the gratitude you have for those things now, as though you already posses them – which you do because of the habits you have nurtured into existence. It was really eye opening as was the questions you apply to your life. I don’t think I really ever thought about what I want in all aspects of life. Look forward to learning more. It was a great deal going through your inspirational experience shared with us . The most important thing I captured is to manage well your mind , develop it , change from those things that keep you down for years and you should start now for time does not wait for man .Thank you so much and look forward to receiving more tips from you . If any body follows his vision,I think no misery in their life. 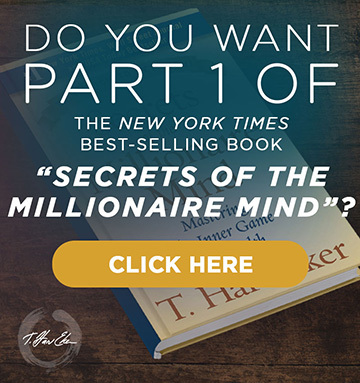 I think I will ask that question right before asking what I want in the 8 life categories from Harv Eker’s Life Makeover Coaching. If I could only achieve one thing in this category for the rest of my life… what would it be.. and how would I take care of it (nurture, care for it) when I got it? He used too be entirely right. This post truly made mmy day. You can not imagine just how so much time I hadd spent for this info! I am 67 and content with my life. I’m not rich, probably will never be able to afford to completely retire, but I’m ok with that. I LOVE what I do (private elder care) and can’t imagine doing anything else. I’m getting tired of being made to feel like a failure if I don’t want more in my life, and don’t care if I ever get rich. I can pay my bills and have a little savings. There’s more to life than money. I am content, and if that makes me a failure because I don’t want more, so be it. Nice feed, keep up the great work Harv, you’re deeply appreciated! I enjoy your emails and wisdom. Great comment from the oracle of Omaha. Just another thing though, ive been waiting a long time now for my book to arrive here at 38 macey avenue Avondale Heights Victoria Australia post code 3034 were the big continent down under ok not new zealand ok. I have paid in full by credit cards months ago and have received a couple of email responses from Jesse, saying its in print and will be out in march etc. However i know you guys are busy and things are probably hectic but i just want my book you promised as you have taken the money already months ago. If it is too much of a hassle to get the book promised to me by the end of this month could you be so kind as to refund the monies back to my mastercard it was taken from. Health is # 1, yes. Благодарю! Всем больше денег, больше любви искренности. честности. порядочности. ясности. Прекрасные слова -Друзья, вы не одиноки. Всем полной жизни во всех сферах.а джины пускай проходят мимо. Всех Вам Благ! Hi Harvey, thanks so much for the insight , have practice meditation for 17 yrs and if anything else what have learn is clarity of mind and body awareness are paramount to carry you through life Mr W. Buffett has a great point ” to look after number one” to be of help to others .